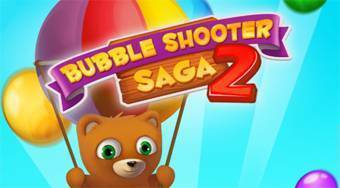 Do you like Bubble Shooter Saga 2? Share it with your friends. Bubble Shooter Saga 2 - fire the balls from the cannon onto the group of the balls of the same color and thereby remove them off the board.